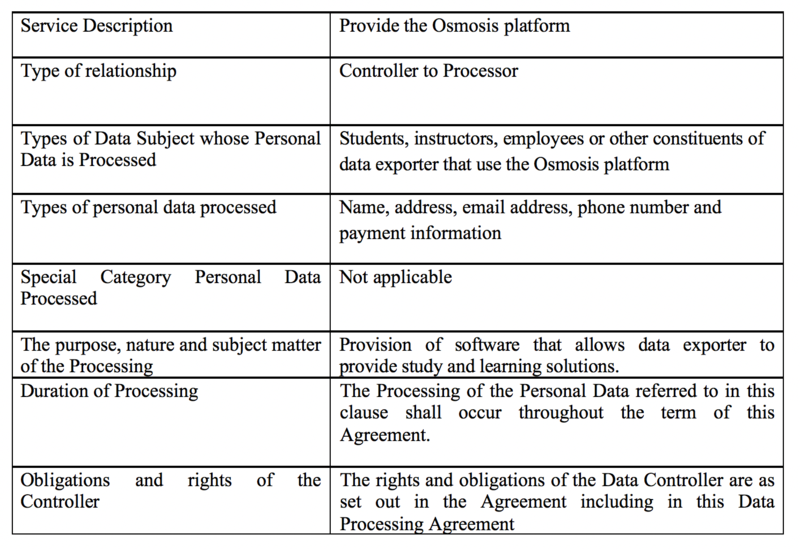 Controller hereby instructs Processor to process the personal data provided to Processor by and on behalf of Controller to provide the Services in accordance with the Agreement, as described in Annex 1. Processor will not engage any subprocessor without written authorization from Controller; provided, that Controller authorizes Processor to engage subprocessors to process data as may be necessary or desirable to provide the Services in accordance with the Agreement and Controller authorizes Processor to utilize the subprocessors it has engaged to provide the Services as of the effective date of this Data Processing Agreement. Processor will provide Controller with a list of such subprocessors upon Controller’s written request. In its performance of the Services, Processor will, taking into account the state of the art, the costs of implementation and the nature, scope, context and purposes of processing as well as the risk of varying likelihood and severity for the rights and freedoms of natural persons, implement appropriate technical and organizational measures designed to ensure a level of security appropriate to the risk. (g) make available to the Controller all information necessary to demonstrate compliance with the obligations laid down in Article 28 of the GDPR and allow for and contribute to audits, including inspections, conducted by the Controller or another auditor mandated by the Controller; provided, that any audit and inspection: (i) may be limited in scope by Processor to the extent reasonably necessary to prevent the violation of Processor’s and its subprocessors’ confidentiality obligations related to the information of Processor’s and its subprocessors’ other clients; and (ii) shall at all times be supervised by and performed in the presence of Processor security personnel and in accordance with Processor’s security policy and procedures.Independent third party audit reports provided by Processor’s subprocessors shall fulfill the foregoing requirements with respect to the applicable subprocessor to which the report relates. Each auditor who is not subject to rules of professional conduct requiring confidentiality must enter into a written agreement with Processor protecting the confidentiality of any information gathered during the conduct of such audit.The results of such audit, as well as any documentation prepared by the auditor or Controller as a result of the conduct of such audit, shall be shared with Processor and be deemed the Confidential Information of both Processor and Controller. Processor will immediately inform the Controller if, in its opinion, an instruction from Controller to Processor infringes the GDPR or applicable national data protection laws that apply to Processor in its performance of the Services. Processor will without undue delay, and within forty-eight (48) hours of Processor’s discovery of any loss or breach of security of the personal data, inform the Controller of such loss or breach. Processor shall report on the nature of the breach, including where possible, the categories and approximate number of data subjects concerned and the categories and approximate number of personal data records concerned. This DPA will remain effective as long as Processor provides Services for Controller or processes personal data received from Controller or in the context of providing Services for Controller. All obligations under this DPA apply in addition to, not in lieu of, any other contractual, statutory and other obligations of Processor.